Yellow fever is a serious illness acquired through the bite an infected Aedes aegypti mosquito. The disease is found in parts of Africa and South America. 200,000 cases (with about 30,000 deaths) occur each year, mainly in sub-Saharan Africa. 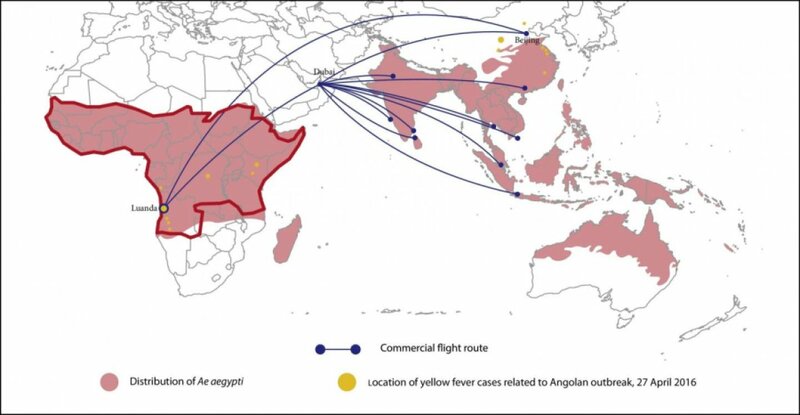 Usually a tropical disease, yellow fever is considered a possible threat to people living in any of the areas infested by the A. aegypti mosquito. However, large areas – especially Asia and Australia – have so far never experienced a yellow fever outbreak. 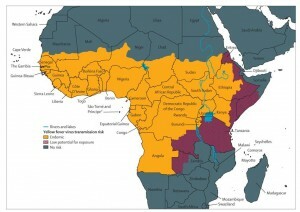 Its potential for spread, causing human disease and death, has led to the use of the yellow fever vaccine being strictly controlled in most countries of the world. It is the only vaccine specifically aimed at preventing disease in a population, rather than in the individual. Each country has its own rules and internet surfers should be very clear which country they are reading about. With this in mind, the current outbreak in Angola is of great concern to Australia. Angola is a third-world country in southern Africa, with considerable mineral wealth (diamonds and oil), but poorly developed health infrastructure. 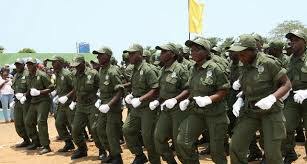 Its borders with the Democratic Republic of Congo (DRC) are porous and thousands of Chinese construction workers, engineers, planners, and support staff including doctors and cooks reside in Angola. Yellow fever was detected in Angola late in December 2015, since then (to 20 June), the disease has spread rapidly: there have been over 3,294 suspected yellow fever cases and 347 deaths. 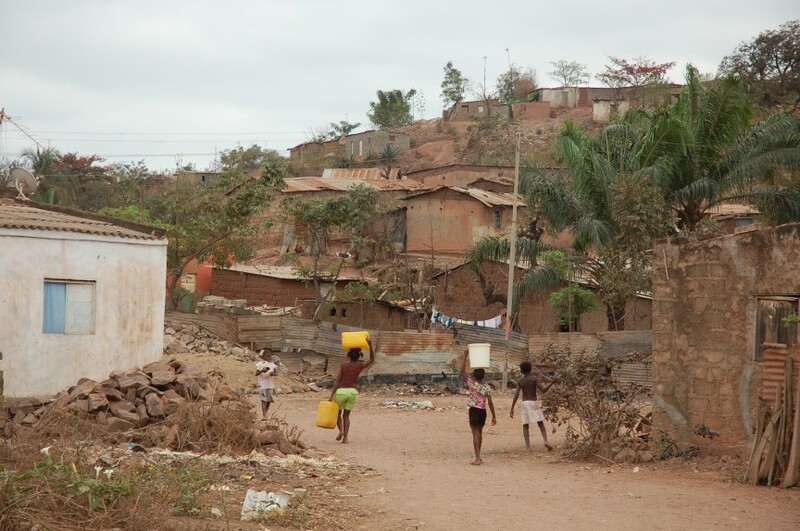 Despite vaccination campaigns in the capital, Luanda, and major cities, circulation of the virus persists. 1106 suspected cases have been reported from DRC (with 75 deaths). A separate outbreak has occurred in rural areas of Uganda, and yellow fever cases imported from Angola have been reported in China and Kenya. Other African countries report suspected cases. The DRC continues to be worrisome. Although the numbers of reported locally acquired cases is small, it is an indication that vector mosquitoes and susceptible individuals are present, including in Kinshasa, a city of over 11 million inhabitants. The supply of vaccines is limited by the small number (6) of manufacturers, each being obliged to produce vaccines containing a minimal amount of live virus. By 7 July, 14.5 million people had been vaccinated in Kinshasa (DRC) and the border areas of Angola. This number is expected to rise to 30 million within the next month. According to WHO, the yellow fever vaccine mostly used in Angola will be fractionated to 1/5 of the original vaccine and costs about $1 to make and $1.50 to administer. Protection via the subcutaneous route is expected to last at least a year, but children will only receive the full intramuscular dose. Surveillance at border entry points is unlikely to change in countries such as Australia, but is now at much higher levels in countries dealing with Angola and others affected by the current outbreak.